Socials hate numbers, because they are hard facts. They much rather have "morale" and "fun" that they can twist as they wish. 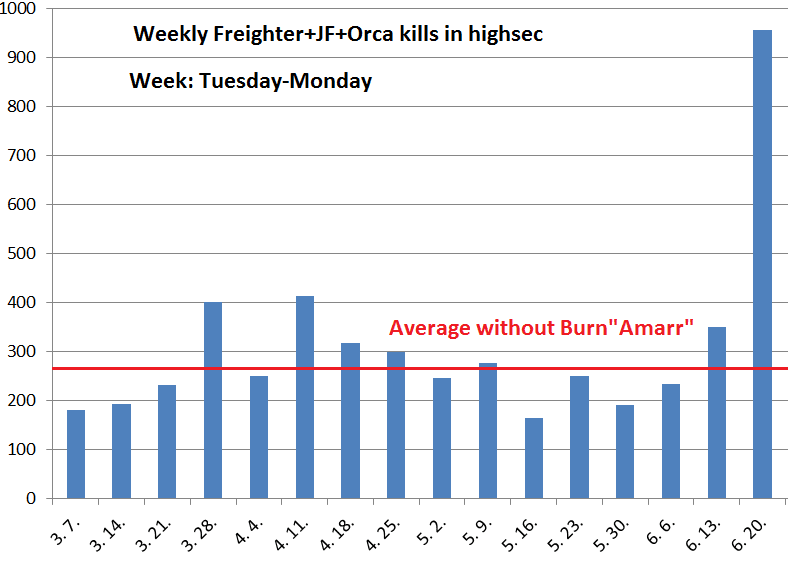 So here are the numbers from Burn"Amarr", using the downloaded Freighter, JF, Orca and Bowhead losses from March 1 to June 22. Some of them I predicted, others I didn't. First I calculated weekly damages, where a "week" started on Tuesday and ended on Monday to allow the whole Burn event on one week. 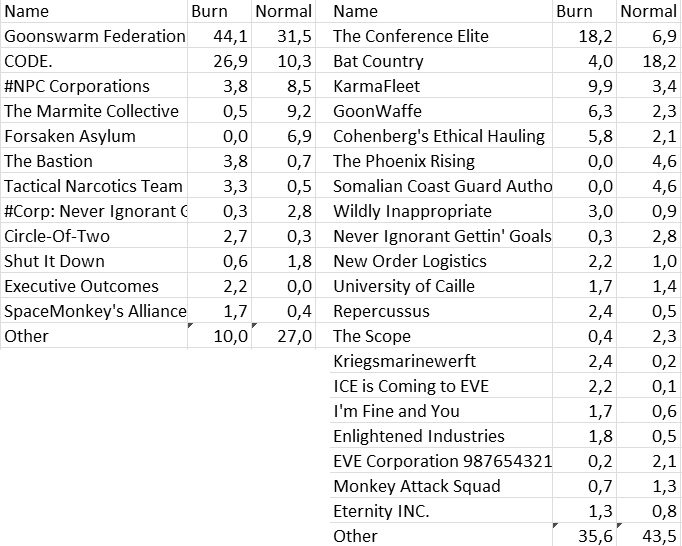 690B more big haulers died in the week of the Burn event than on an average week, so it's fair to say that the final tally of the event is 690B. Let's compare the distribution of the kills during the event (Jun 19-22) to the normal days in highsec (all numbers are %): The ship distribution is more or less the same, but the place distribution is very different. While in normal situations lot of places are touched, here most of the kills are focused to Uedama, Niarja and Madirmilire. Amarr, the target system of the Burn event was barely touched, unlike Jita during Burn Jitas. Goons indeed realized that they bit bigger than they can swallow, so relocated to the usual ganker pipe and called CODE to step up their game in Uedama. How much they stepped up? While Goonswarm increased its share by 30%, CODE more than doubled their share. Considering that the total damage was already 3.6x bigger than usual, it means that CODE ganked 10x more than they are used to. Another interesting thing is that the share of Bat County dropped so much that they ganked less in absolute numbers than usually. Goonwaffe and especially Karmafleet stepped up their game and did most of the ganks under GSF tag. So the final result is that while Goons failed to repeat Burn Jita when they ganked players who didn't see it coming, they saved the day by ganking lot of those who had it coming by hauling expensive stuff in the pipes. It also shows the extreme reserves CODE has: in case of proper "motivation" they can gank much more than they already do. This provides a clear future: while trade hub ravaging is gone, the event will remain as a pipe ganking event, based in Madirmilire or Uedama to hit traffic. Since these systems are always ganked, haulers should know better, so there is no reason to stop Goons from killing them. This is indeed an "everyone wins" (except morons and slackers) situation. Goons and co are happy with their massacre, anti-Goons are happy with defending Amarr, only the dumb and autopiloting freighter owners have a reason to cry. 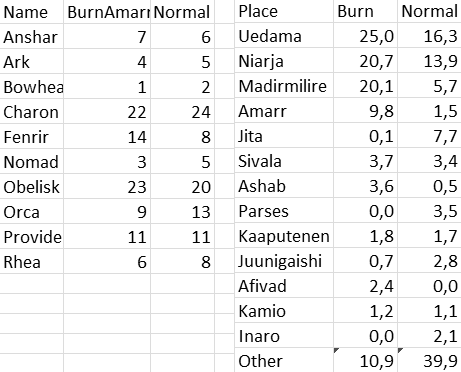 Wonder what the choke points of Uedama and Niarja fared on prior Burn Jita events. http://evemaps.dotlan.net/map/The_Forge/2014-04-25#kills24 says 14414 kills in Jita. http://evemaps.dotlan.net/map/The_Citadel/2014-04-25#kills24 says 88 kills in Uedama. http://evemaps.dotlan.net/map/Domain/2014-04-25#kills24 says 103 kills in Niarja. So we can say that all gankers were operating in Jita and even the usual pipe ganking was suspended during Burn Jita. 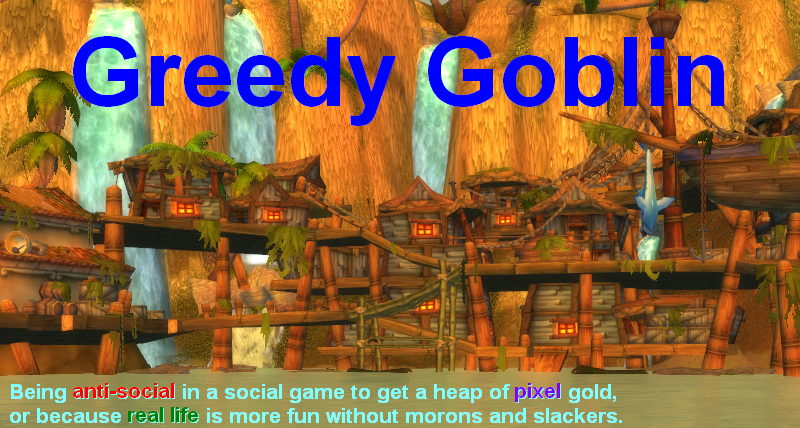 But indeed: instead of ganking miners or ganking with Code-Fleets, I simply switched to goonfleets during the burn event. Seems, like a lot of people are doing it the same way. This explains the even numbers but local concentration. They didn't relocate anywhere, the target was always the whole pipe, just like Burn Jita isn't restricted to Jita. Jita just has a much higher concentration of idiots being at population cap for the whole event, while Amarr sat between 600 and 900 including 300 or so gankers, so you'd expect to see more done outside that system. Socials love numbers because they are meaningless without any context and can be cut and spun to mean almost anything you want. A little manipulation here, some unwarranted assumptions there and *voila* we can reach an untrue conclusion that socials can accept because it uses numbers so it must be hard fact. Some people use numbers as a weapon. They demand that a theory based on numbers is automatically superior to theory derived by thought, feelings or experience. Proper scientific method starts with a logical thought-based theory which it then attempts to disprove through observations. Sorry, none of that has anything to do with your post. I just got a little worked up by your first sentence which I took to be either naive, subversive or a sarcastic.